Do you turn your nose up at DVDs? Is Blu-ray’s high definition so mid-2000s to you? 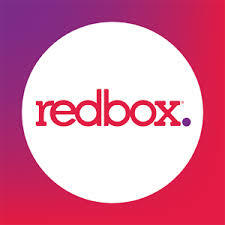 Then you’ll be tickled to know that Redbox has started to rent 4K Ultra-HD Blu-ray discs for your ultra high-def fix. The rollout is limited to just a few U.S. cities for now: New York City, Los Angeles, Seattle, Austin, Detroit, and Miami. If you live outside one of the chosen spots, you’ll have to make do with paltry 1080p definition for the time being. There are also only four titles available in the ultra HD format initially: The Matrix, Black Panther, The Commuter, and The Martian. You’ll have to pay up for the higher definition titles too, to the tune of $2.50 per night, which is fifty cents more than a Blu-ray disc costs. There are also no online reservations for the movies during the trial run. Smith’s “slight premium” also doubtlessly includes the 4K TV and Ultra HD-compatible Blu-ray player you’ll need to view the discs, along with the upcharge at the Redbox. Worth it? You tell us in the comments. Not going to make much diff. I really don’t see how the Box is making it. I mean with all the online stuff. And Netflix in the mail. And the you need to bring it back the next day. But they must be doing something right. I just rented The Matrix UHD from RedBox and was stunning. Waiting for more releases and do make the difference if you looks for image quality and best sound. Streaming is always someway compressed, does not show the same quality as hard old media, and even so, the only service that provides Dolby Vision and Atmos is Vudu, every other is one or the other on none. With the proper TV (Dolby Vision recommended) and the right audio (Dolby Atmos / DTS:X) the experience in almost the same as a Dolby Cinema at AMC, witch, by the way its the best movie experience presently. I agree with you on physical media, but not all 4K UHD BR Discs are created equal. You need to read the labels, it’s the $29.99 ones that have Dolby Vision and Dolby Atmos and multiple sound and HDR settings. Netflix has released a lot of older films and newer films which are Dolby Vision and Atmos. A quick example if you have Netflix, are many of their action flicks. The Iron Fist, Defenders, etc., even Ghostbusters, all Dolby Vision and Atmos. Right now, only 10% are 4K UHD and there is a bit of a 50/50 mix with Dolby Vision and HDR10. But, Netflix is testing their next streaming release (end of this year, or Jan 2019) in Europe. It will cost $15.95 when it gets to the US and will start with 2/3 of all their movies, as well as all new releases will be 4K UHD Dolby Vision and Dolby Atmos.